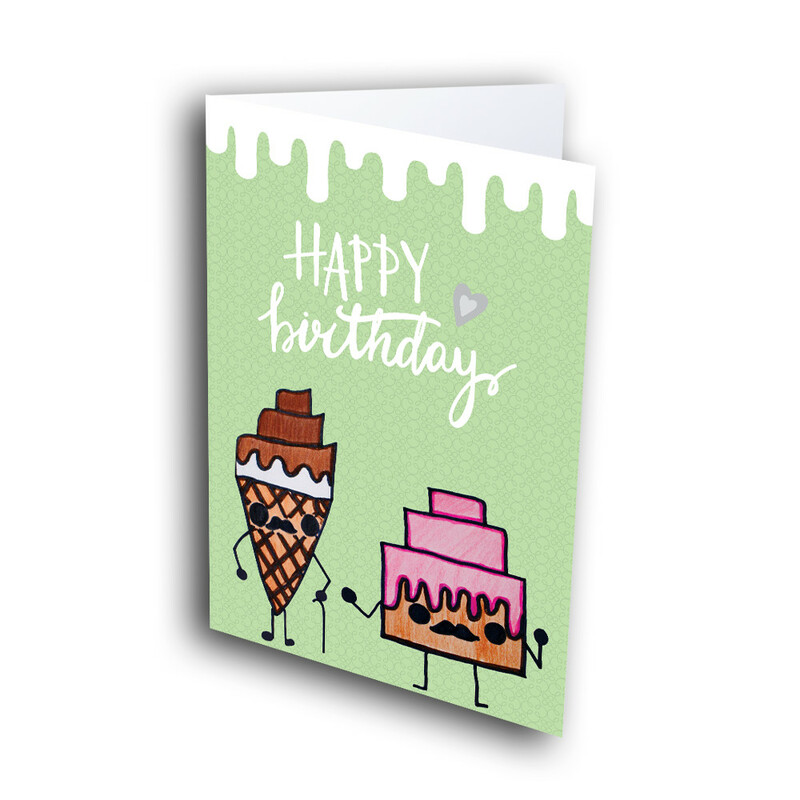 A sweet and silly birthday card to share some meaningful birthday greetings. 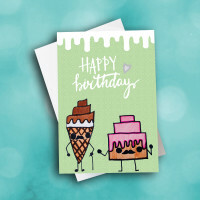 Send a lighthearted greeting to sweeten someone's special day. 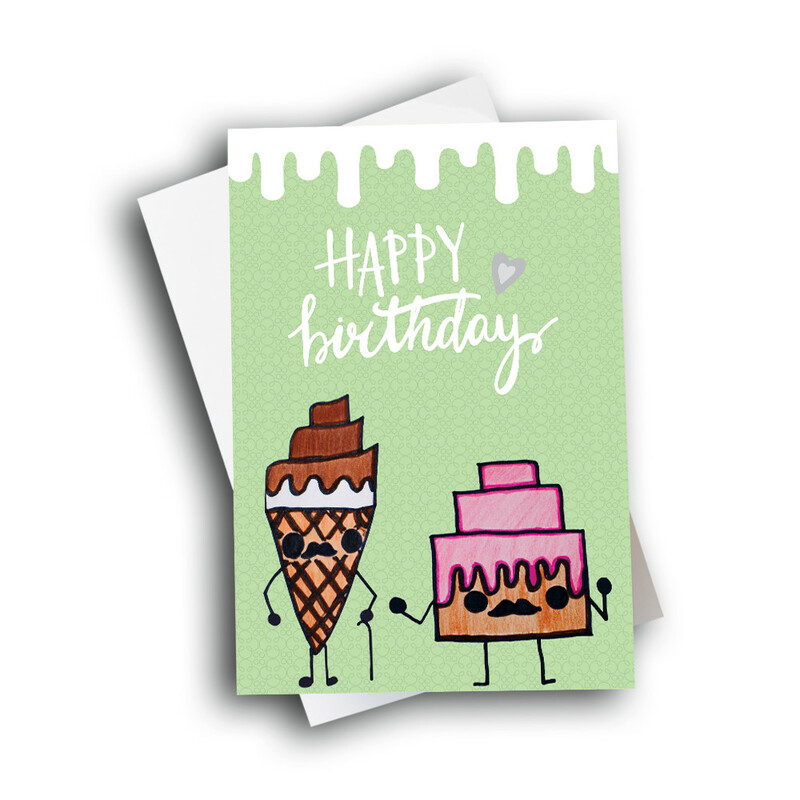 A mustachioed pair of sweet-treat friends stand together, against a pale-green, ice cream drip background. 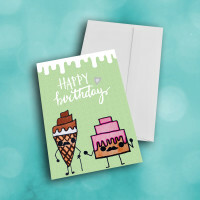 The birthday greeting is artistically penned across the center. 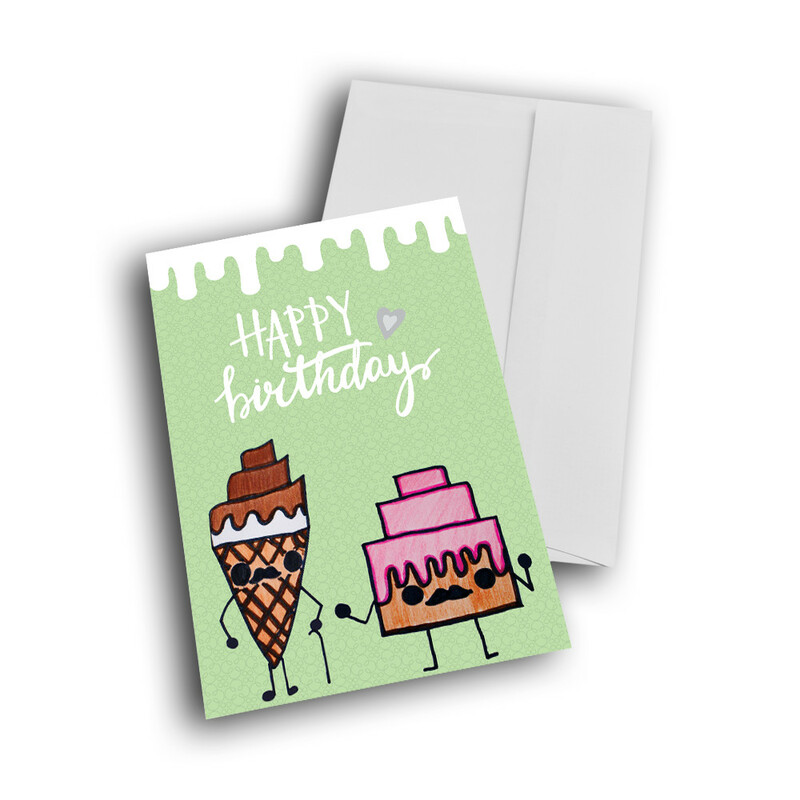 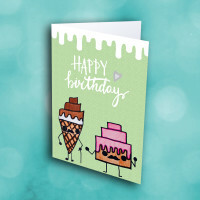 Inside, add a custom message, to make this a personalized birthday card.